If a business cannot find customer needs and fulfill them, it cannot survive. Thus, what we do every day must begin with listening to the voice of customers. When we place customers at the center of our task before developing products and technology, we can deliver our business value to them properly. And we should go further and listen to the voice of a customer’s customers and satisfy them. Only if we do so, we will be able to say with confidence that Hyosung is a business listening to the voice of customers sincerely. SEOUL--(뉴스와이어) 2019년 01월 08일 -- Hyosung Chairman Cho Hyun-Joon delivers a new year message 2019 to employees and customers. Concerns are already being voiced about business environment for this year. Global business slowdown and trade war between the US and China make it difficult to see further than the end of nose. Corporate performance is on the slide with competition getting fiercer than ever. We are in a life-or-death situation where we must figure out how to survive. If a business cannot find customer needs and fulfill them, it cannot survive. Thus, what we do every day must begin with listening to the voice of customers. When we place customers at the center of our task before developing products and technology, we can deliver our business value to them properly. And we should go further and listen to the voice of a customer’s customers and satisfy them. Only if we do so, we will be able to say with confidence that Hyosung is a business listening to the voice of customers sincerely. Once again, a real Hyosung person listens to the voice of customers and tries hard to fulfill their needs. It is not until every Hyosung person keeps on working for customers and joins forces to lead changes that our business will always prosper with customers. A winner thinks before acting and completes a task, while a loser thinks in the middle of acting and gives up. Let’s go the distance altogether come what may. Let’s turn crisis into opportunity in an indomitable spirit of challenge, and make Hyosung grow with customers for more than 100 years. My hopes for New Year are that all of you are always healthy and happy with your families. Happy New Year. 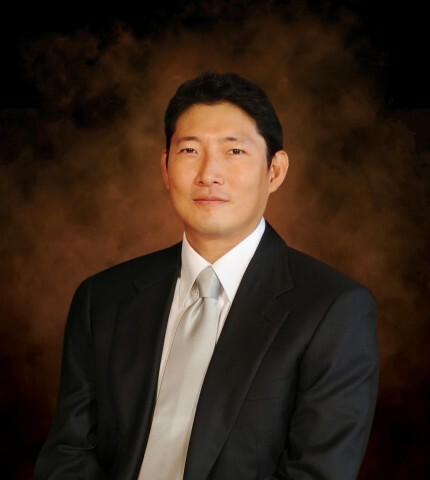 CEO & Chairman, Hyosung Corp.